The font in the graphic above is called, "A Love of Thunder." You can download it for free at DaFont.com if you want to add your own details to the graphic while maintaining a consistent style. This is an event sponsored by World Vision. Our youth group does it every year. "Every year, hundreds of thousands of students in the U.S. and around the world unite to do the Famine. 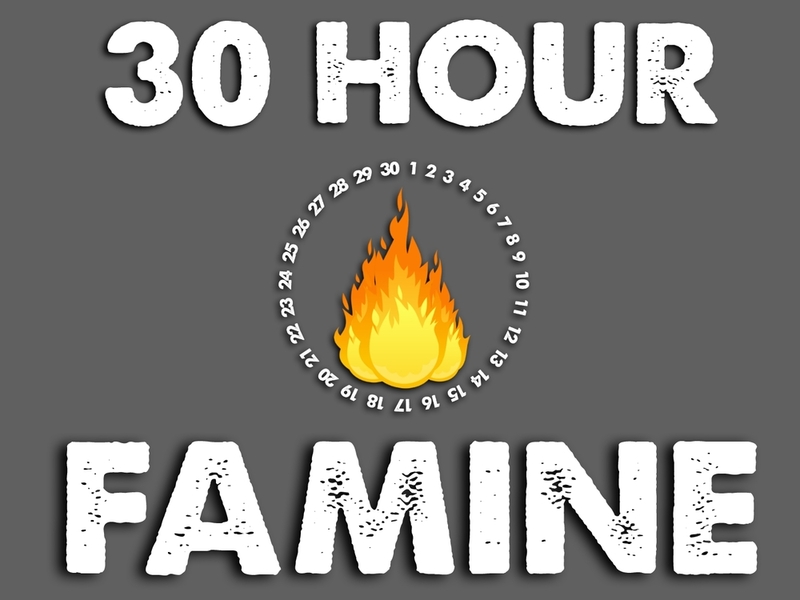 Join them, and your group will learn about hunger, raise funds to help the hungry, and then go hungry yourselves for 30 hours. Through the Famine, teens grow closer to Christ and each other — all while helping to save the lives of hungry kids."